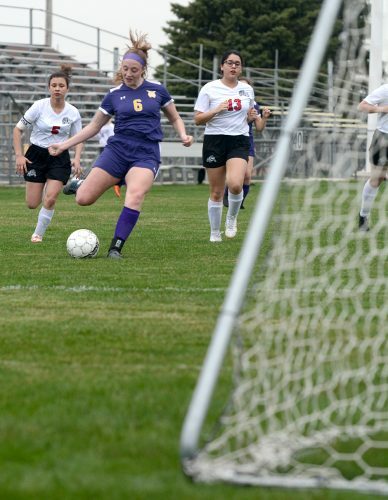 WEBSTER CITY – Allie Flaws doesn’t know how to sit still. Take a season off and relax? She’ll have plenty of time to do that when she’s old. Athletics are her passion, it’s what she knows. Her favorite sport over the years has simply depended on the season. Four sports. Four years, 41?2 if you count the summer before her freshman year when she was a starting contributor to the Webster City softball team before an injured ankle washed away the final month of the season. Would she do anything different? Nope. Flaws’ commitment, not to mention her God-given abilities and a laundry list of accolades that few WCHS athletes that came before her can boast, make her stand out in a crowd. She has it, whatever it is. And she always lets her talent do the talking. Flaws put it all on display during her senior year, which she caps today with one final title that will never disappear – the moniker of 2016 Daily Freeman-Journal Female Athlete of the Year. 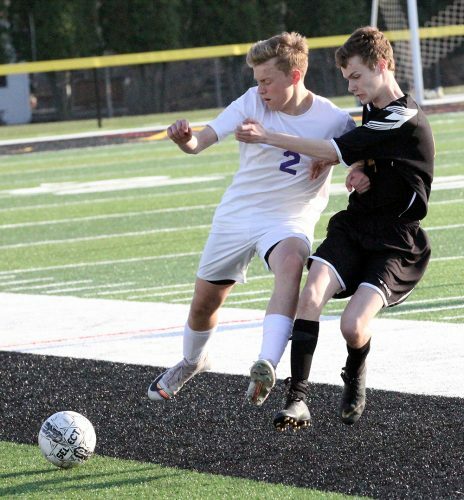 A finalist for the award as a sophomore in 2014, Flaws edged out five area athletes who are all deserving of applause. WCHS sophomore Cassidy Nerland also plays four sports and will be a potential successor to Flaws a year from now. WCHS seniors Gabbi Hoversten and Kenzie Garvey both had banner years, as did South Hamilton senior Alyssa Hegland and junior Ady Wintermote. But Flaws’ consistency, from the fall cross country season to basketball in the winter, followed by the spring track and field season and, finally, the summer on the softball diamond, made the scale tip in her favor. The sizzling senior season – she was a leader on the Lynx cross country team, a starter in basketball, the area’s premier sprinter in track and arguably the best softball outfielder in the North Central Conference – is all the more remarkable considering where Flaws was just 15 months ago. Battered and broken mentally and physically as she attempted to return from a torn ACL that occurred just prior to the start of her junior year in August of 2014, Flaws just wasn’t herself on the track – the sport where she gained statewide attention for placing eighth in the Class 3A 100-meter dash as a freshman, followed by a fourth-place medal as a sophomore. Her burst and top-end speed were lacking, and combined with a nagging hamstring injury, her confidence was shattered. Twelve months later was a different story. Flaws’ 2016 track season was brilliant – 24 gold medals won in 12 meets, four conference titles in the 100, 200, 4×100 and 4×200 and four appearances at the state meet in the same events. Her added strength was evident when she ran the 200 at Drake Stadium, easily her finest performance at that distance and just a blink away from a medal. Flaws, who will run track at Grand View, understands the reality with her knee and what was once a weakness is now a strength. That speed made her a weapon on the softball field, where she was unanimously named to the all-NCC first team. She hit .390, had an on base percentage of .453 and scored 32 runs – all team-highs for the league runner-up Lynx. Oh yeah, she stole 52 bases, too – a WCHS single-season record and the second-most in Class 4A. It took Carlisle eighth-grade courtesy runner Delaney Schnathorst eight more games – the Wildcats played 39 to the Lynx 31 – to nudge ahead of Flaws by one stolen base. Track and softball brought Flaws the most headlines, but she treated cross country and basketball just as seriously. When asked to boil it down, yeah, track wins out, but that doesn’t mean the other sports are insignificant. 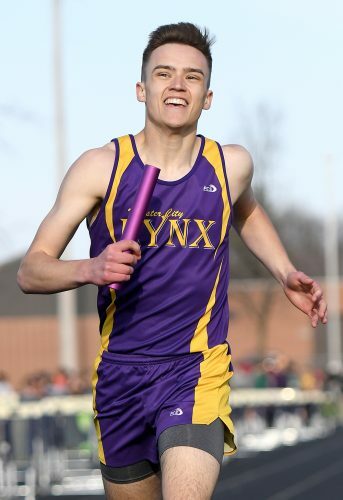 Flaws finished first or second on the Lynx hierarchy eight times during the cross country season and never finished outside of the top three. She led the team twice and finished among the top 20 at the NCC meet. Her speed and quickness aided her on the basketball floor at both ends. She could drive to the bucket and shoot it from the perimeter, or she could jump into passing lanes and create fast break chances. Flaws averaged 6.0 points, 2.3 rebounds, 1.7 assists and 1.2 steals while starting all 23 games for the Lynx. Her finest performance of the season and possibly her career came in a 71-36 thumping of St. Edmond in which she scored 19 points to go along with three steals and three assists. In all, Flaws piled up 15 varsity letters – five in softball, four in track, three in cross country and three in basketball. And now the Athlete of the Year honor. Under the microscope because of her abilities since she entered high school, looking back on it all now, only one conclusion can be drawn – she lived up to the hype.